More than a month has passed since the event, and people are still talking about it. We have received comments from MBA students from Manchester, ESADE, RSM, IE about how the event has been a memorable moment in their MBA experience. And from the inside, after the hard work done by the core group and the volunteers, HEC’s MBA Tournament (MBAT) accomplished its mission to bring different universities together to compete, have fun and develop new relationships. This year was MBAT’s 25th birthday, and the celebration involved more than 1500 students from 16 business schools during the 3-day event. The largest event so far, thus the bar is high for next year. As I joined HEC’s MBA in January 2015, I didn’t realize the full scope and reach of the MBAT. 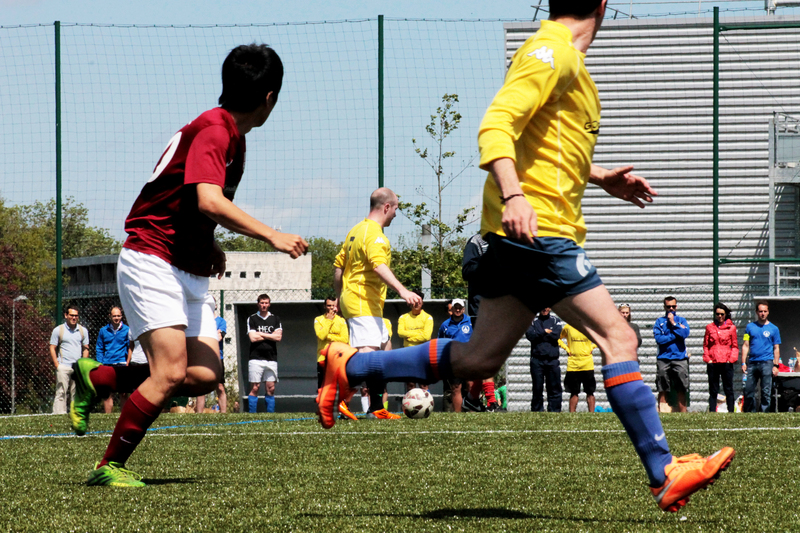 At first it sounded like a regular sporting competition, but as May 7th approached it became obvious what it meant for the invited MBA Business Schools and HEC Paris. My involvement with MBAT was as University Liaison (UL). There was a lot of logistics behind the scenes. It was impressive to see how the UL team came together on the different tasks from getting the list of participants ready, setting up the entrance to the campus, guiding arrival teams for a quick flow during registration to sending them out to compete! On that first day, I was the smiley guy at the front door directing people to specific registration lines. Probably the only day in my life when I’d say “welcome” over a thousand times, so that’s a unique anecdote from MBAT. Once everyone had arrived, taking into account the typical delays, it was evident the type of atmosphere for the duration of the competition. Everyone was eager to compete and mingle with other students from all over the world. Although it was early May, the weather was with us during those days, which focused attention on the many outdoor festivities while the games went on. There was a bungee trampoline nearby the ultimate frisbee matches. On the other side of campus, near the rugby competition, and strategically positioned near the food-truck and beer, an inflatable jousting, a mechanical bull and a sumo suit were awaiting for new challengers. Personally, these moments were valuable as I shared them with my two year-old son. Walking between matches watching how HEC teams did against our guests; the intensity of the Pétanque finals against LBS, collecting volleyballs while IE and ESADE played, and wondering how to understand Cricket against Oxford were some of the stops. His favorite one was throwing pebbles in the lake, maybe a new section called Kids @ MBAT could be created. As afternoons came to an end, and the competing-looking faces relaxed, there was one thought on everyone’s mind. The dinner and posterior party. Beside the many aspiring athletes of MBAT, many more came to cheer their teams and enjoy the renowned parties to celebrate the victories or unwind from the defeats. Either way. The themes prepared were the highlight of each day. There was something for everyone starting with Casino Royale Night, followed by Retro 90’s Party on the second night, and closing with the Tex Mex Fiesta. 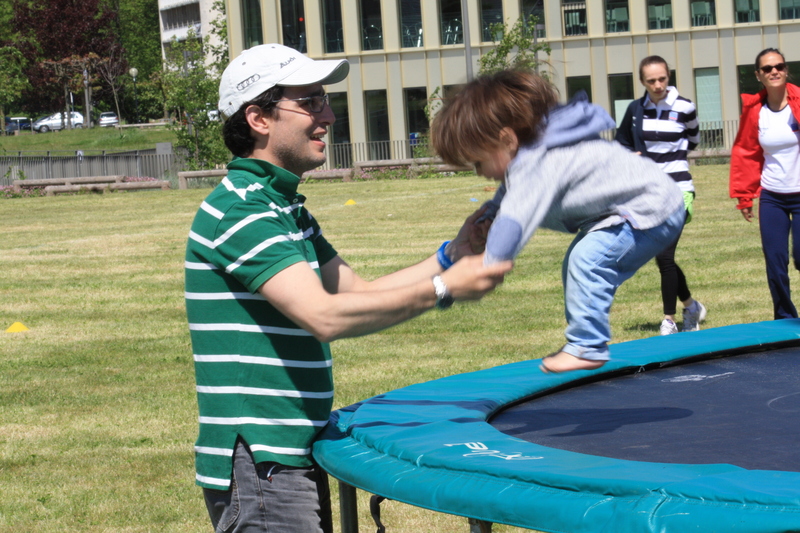 And each morning teams went again – fairly early – to write another chapter of their school’s history at the 25th MBAT. Future MBA participants will continue to write about MBAT, what it meant, the atmosphere, the roles and situations, the wins and losses, the arrival and departure. Some, as they read this post, will see themselves remembering and smiling about their own experiences. And many others, as they join their preferred business school, will mark their calendars to be part of the next MBAT. At the end of the day, it will be an experience to share. Prev Post: [MBA] The L (or leadership) Word: The idealized expectations of Top MBA programs.